We have got an adage which reminds us that “As a man thinks, so he is.” It is absolutely true, although we often tend to forget it. Everybody today who is alive and doing this or that is proclaiming exactly what he or she thinks! Everybody is a philosopher, everybody has got a philosophy of life, and we show what our philosophy of life is by the way in which we live. Our actions always correspond to what we think and what we believe. Therefore, if people are living a superficial, bubble kind of existence, they do so because that is the sort of mind they have. It is their failure to think that causes them to live a superficial kind of life. And this leads me to say that the problem of immorality or vice or crime can never be tackled directly. Conduct is the result of the point of view, so you can never deal with conduct directly. To try to do so is the fatal blunder of every non-Christian system. And we are seeing the failure on all hands. Men refuse to recognise the fundamental principle that as a man thinks, so he is. Therefore, it is of no use trying to control his behaviour if his thinking is wrong. When new converts come into a church, they should be led in a Bible study on the book of Genesis. They will learn exactly what Christianity is all about and will learn the basis for all Christian doctrine. Results do come from simply preaching about Christ and the cross in our society today, because there is still a remnant of the Creation basis for that preaching. But this remnant is disappearing very quickly, and thus the response is far less today than in the past. It is time we woke up and used the tools that the Lord has provided to evangelize a society that has become like the ancient Greeks. It is time to restore the foundations of Christianity. 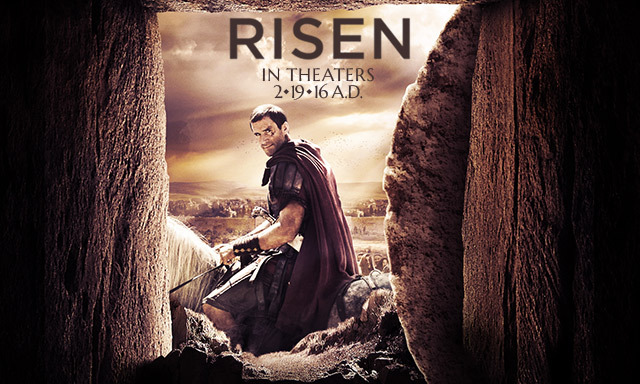 I won't see "Risen." I'm not a demographic, I'm not a market, I'm not merchandise. I won't trade money on my faith, because it's not entertainment. I won't participate in the merchandising of my faith. (2 Peter 2:3). That's not to say that I never buy any Christian merchandise. I do. I buy Bibles. I buy theological books. I buy Christian fiction. I pay for movies that have Christian themes. So what's the difference between that merchandising and the merchandising I mention in Risen? Risen purports to show a foundational doctrine of our faith, with an actor playing "Jesus." It purports to show His resurrection, THE main ingredient of the Christian faith. (1 Corinthians 15:14). And as some reviewers admit, there are added elements in the film and other elements which occurred are omitted. Why go see a movie that from the outset you know has twisted the Doctrine of the Resurrection and included errors and omissions? There is another kind of merchandising I've mentioned frequently on this blog. Whenever a 'Christian' movie is released, churches are inundated with merchandise sales pitches. Study guides, devotionals, bracelets, workbooks, bookmarks...trinkets. That's another kind of merchandising. Both kinds diminish the glory and uniqueness of our faith and makes our Jesus small. Didn't he cleanse the Temple? I'd rather save my money to buy a solid book to give away to a friend than spend the money to see a flawed movie for myself. However, I hold no judgment against anyone who chooses to see that or any other Christian movie. It's an area of liberty. I personally know that if I see Risen with its added and omitted elements that those will remain in my head and I won't be able to get them out. My mind is weak that way. So my choice is to refrain. If you're considering seeing the movie, here is the author of Gentle Reformation with three reasons to consider not to. And he really is gentle. My recommendation is to skip this movie. To believe in evolution is to deny a universal paradise before Adam, because evolution necessarily implies that before Adam there was struggle, cruelty and brutality, animals eating animals, and death. Is the world going to be restored to that? If you believe in evolution, you must deny a universal paradise before Adam (because you believe that there was death and struggle millions of years before Adam), and also at the end of time (because the Bible teaches the world will be restored to what it used to be). Thus, evolution not only strikes at the heart and the foundation, but at the home of Christianity as well. We all should be out there doing something about it. Many of us have been hoodwinked into thinking that evolution has to do with science and that you need to be a scientist to do anything to combat it. But evolution is only a belief system, and you do not need to be a scientist to combat that. So much to report today, for warning people against false teachings and false teachers. It is surely getting closer to Jesus’ return when we are seeing all the evidence of people refusing to listen to sound doctrine as they chase every wind and fad of false doctrine which makes them feel good. First up, Bill Gothard has NEVER accepted accountability for any of his actions, be it false teachings or sexual harassment/abuse of young women in his ministry. Now his lawyers are threatening lawsuit against Recovering Grace Ministries for posting testimonies of his abuse. The man has absolutely NO shame! 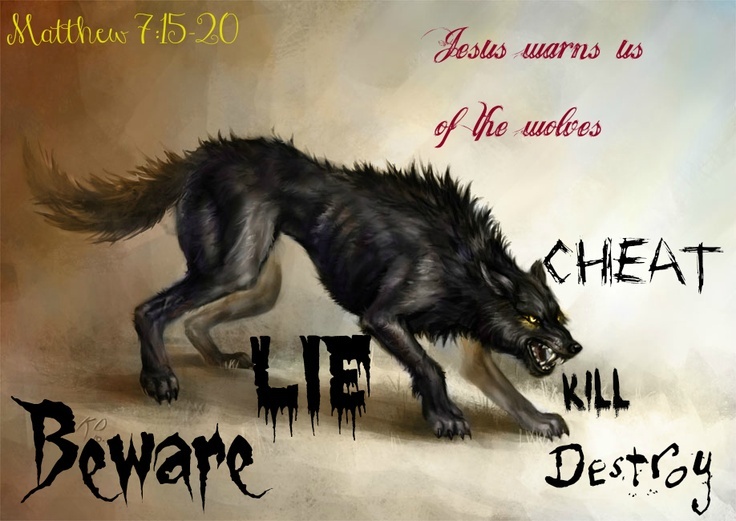 Marsha West has posted part 2 of her examination of false spiritual warfare, naming names of important false teachers in this movement, most of whom are part of the New Apostolic Reformation. An older series from Gary Gilley is about entertainment in the church. Read part 1, part 2, and part 3. Gilley also has an older two part review of Rick Warren’s “The Purpose-Driven Life.” Part 1 is here and part 2 is here. A “Christian” rapper thinks it is just fine to use foul language. I’ve previously written about why using profanity is wrong. Steve Chalke proves what a false teaching heretic he is. Andy Stanley thinks a pastor should be more like a CEO; his description is very narcissistic. This article also examines the multi-site “church” ideology in general, and some information about false teacher Steven Furtick. Due to complaints I’ve received for saying John MacArthur is a good teacher (as long as you ignore his TULIPs), I have links about teachings which people question. Did he teach that Jesus only became God’s son at incarnation? Did he teach that one could take the mark of the beast and be saved? Is his teaching about the blood of Christ the same as Christian Science? 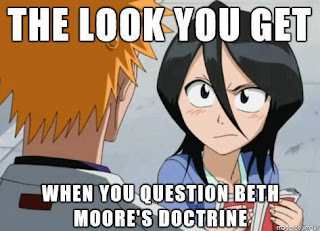 Answer to the first question is “yes” but he has since recanted and changed his teachings. The answer to the second is “yes” but there is a context to it which the attackers ignore. The answer to the third question is an unequivocal “NO”! Once again the claims against him are out of context; MacArthur’s point is that the blood in and of itself has no salvific value - Jesus’ blood could have been all over the place but if he didn’t die for our sins, then the blood would have accomplished nothing. Interesting old video I came across, exposing what a false teaching heretic Joel Osteen is. Richard Mouw’s beliefs about Islam are dangerous, demonstrating once again what a false teacher he is. Greg Laurie is another once-good teacher slowing sliding down the slippery slope of compromise for popularity. WOW! What a horrid gathering of Christians, apostates, and heretics. More on Francis Chan’s adoration of false teacher Mike Bickle and his support of Catholicism. Doug Evans has a really good examination of Dominionism. The false prophecies of the late Bob Jones. I never heard so many lies in such a short video. 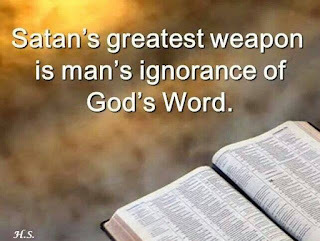 If only more Christians would read their Bibles we’d have a lot fewer false teachers. The whole art of Christian living is to know how to talk to yourself. If you do not preach to yourself you are not a Christian. A Christian is a preacher, he preaches to himself. You start your day by telling yourself, “Now I am the new man, I am no longer the old man; my old man has been crucified with Christ, my old man is dead, finished with, he is non-existent; I am no longer what I was. If any man be in Christ he is a new creature, a new creation; old things have passed away, behold all things are become new.” You start the new day by saying that to yourself. It will not be said to you, it will not happen automatically to you. The devil will speak to you the moment you wake up, and he will say a thousand and one things to you to depress you before you are even out of bed. Therefore we have to make a resolution; we are going to get up and to say, “I am a new man in Christ.” It literally has to be done in detail in this way. Sin offers what it can never give, that is, satisfaction. Sin never satisfies; it never has done, it never will do; it cannot because it is wrong, it is foul. It never satisfies, although it is always offering satisfaction. Indeed, sin working through lusts never really gives anything at all, but simply takes away. . . . Sin robs us, takes from us, exhausts us mentally, physically, morally, in every respect, and at the end leaves us on the scrap heap, unwanted! It is entirely destructive. It takes away and robs us of character, chastity, purity, honesty, morality, uprightness, delicacy, balance, sensitivity, and everything that is most noble in man. Is it surprising that the Apostle says, “Put off concerning the former conversation the old man, which is corrupt according to the deceitful lusts”? Avoid sin, I say, as the very plague, get as far away from it as you can, do all you can to destroy it and to mortify it. The New Testament is full of this teaching. Sin is so horrible, so foul, so deceitful! Sin…always comes in an attractive form. And we are fools enough to look on the surface and to judge by outward appearance and not by the reality itself. And then another thing sin does — and this is a part of its whole art of deceit — it always discourages thought, it always discourages meditation. Sin knows that it has only got one hope of succeeding, and that is to play upon your feelings and your desires. If the mind really begins to operate, sin is finished, and therefore in its subtlety, it plays on the feelings and discourages mind and thought. Yes, it's been 2 1/2 months since my last chapter review. This is really an onerous task because one must check every single detail of every Bible verse Riplinger makes claims against in "new" Bible versions. It's sometimes difficult to get motivated to continue the work! Nevertheless, here is the latest episode. Chapter 22: “King of Kings & Lord of Lords.” The claim in this chapter is more denigrating Jesus’ position, calling him “master” instead of “lord” or “Lord” instead of “God” or “Christ.” “Lord” is an “objectionable” title for use in the “new age” versions, according to Riplinger. Here we have a passage not even speaking about Jesus! Strong’s says the Greek word here (kyrios) means: “lord, master. This can be a title of address to a person of higher status, ‘lord, sir’; a master of property or slaves…” I would say that in this passage, the context is much better expressed by “master.” It has nothing to do with denigrating the status of Jesus. b. Matt. 25:18: “But he that had received one went and digged in the earth, and hid his lord's money.” This issue is the same as with the previous passage. It is not about Jesus Christ. c. Matt. 25:21: “His lord said unto him, Well done, thou good and faithful servant: thou hast been faithful over a few things, I will make thee ruler over many things: enter thou into the joy of thy lord.” Riplinger has the word capitalized in her chart (“Lord”) as if it is referring to Jesus, but again context proves differently. Riplinger’s chart shows KJV with “Lord…Jesus” while new versions have “Rabboni,…Him.” The first word, rhabboni, is translated correctly in the newer versions, in that they translate literally. Strong’s says, “Rabboni, a title of a teacher,” and in the KJV it is used twice, once translated as “lord” and the other as ‘Rabboni.” So in this instance the use of Rabboni is not addressing Jesus as the Lord, but rather as the teacher. Where the new versions replace “Jesus” with “him,” they are merely using a matter of style since Jesus’ name was already in the paragraph twice and using a pronoun does not diminish who Jesus is. Riplinger makes these three verses as three separate entries to make it look like many passages twist “lord” to be “master” to denigrate Jesus’ position. However, all of these are the same issue as with above, where “lord” has nothing to do with Jesus and “master” is a very appropriate translation of the Greek. Riplinger’s chart shows this one as “OMIT” in new versions. 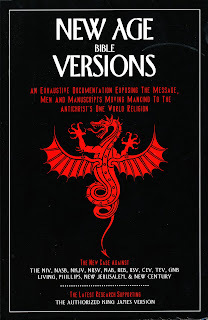 What she means is that the new versions just say “Jesus” rather than “Jesus, Lord.” While the word may not be in the manuscripts Riplinger condemns, even in the KJV there is nothing which says the dying man meant for the word (says “kyrios” as above) to mean anything other than “master,” and omitting the word does not lessen Jesus’ stature in any way. 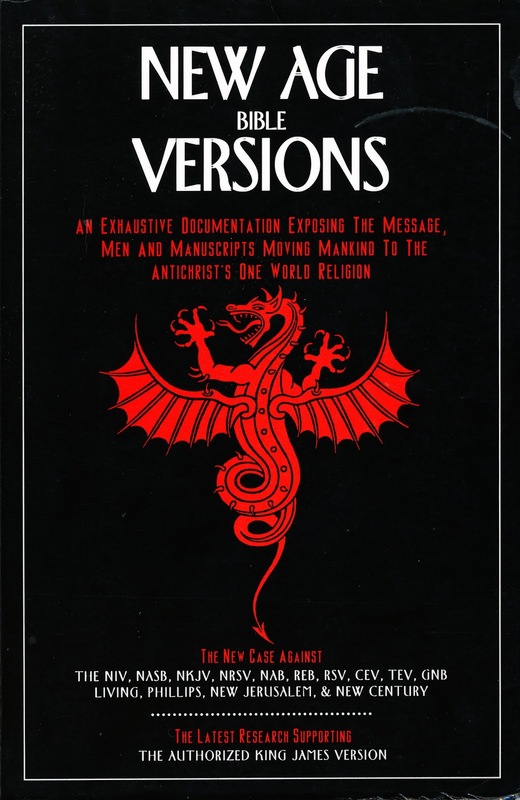 Again, Riplinger says of “new versions,” “OMIT,” meaning “Lord” is left out. However, the context of this passage goes back to at least vs.20 where a contrast is being made between Adam and Christ. Since it is plain that Christ is the “man from heaven,” there is no denigration of Christ by leaving out the word “Lord” in any manuscript. Riplinger’s complaint is that “Lord” is left out of the first use of Jesus’ name; my question is, if it is so important then why does the KJV not have “Lord” in the second use? The whole chapter is discussing the glory of Christ, so how would leaving out the word “Lord” be denigrating in any way?!?! i. 2 Tim. 4:1: KJV “Lord Jesus Christ” vs “Christ Jesus.” So does leaving out the word “Lord” really diminish Jesus in any way? j. 2 John 1:3: KJV “Lord Jesus Christ” vs “Jesus Christ.” Again, does leaving out the word “Lord” diminish Jesus in any way? Riplinger then cites 1 Corinthians 12:3: “No man can say that Jesus is Lord but by the Holy Ghost.” The implication is that because these few passages did not say “Lord,” the Holy Spirit was not with those who copied the Greek manuscripts which weren’t the Received Text. Of course this is twisting the 1 Cor. passage out of context, which doesn’t seem to matter to her. Riplinger continues with this: “The apostle Peter pronounces ‘swift destruction’ for these teachers and others who omit ‘Lord’ from their description of Jesus Christ.” She then uses 2 Pet. 2:1 as her “proof text”: “there shall be false teachers among you, who privily shall bring in damnable heresies, even denying the Lord …” She follows the quote with this statement: “Such judgment ensues because the word Lord, used in conjunction with Jesus Christ, points to his eternal deity and preexistence.” Notice she uses ellipses at the end because if she continued the passage it would prove she is abusing it! Let’s look at the “rest of the story”: “…even denying the Lord that bought them…” Peter is saying they are denying the Lord, not leaving out “Lord” in their description!! This is rank dishonesty on the part of Riplinger, just as we continue to see throughout this review. NIV: When they heard this, they raised their voices together in prayer to God. “Sovereign Lord,” they said, ‘you made the heavens and the earth and the sea, and everything in them. The first problem with using this passage for support for her claim is that it is not addressing Jesus at all, rather it addresses God the Father. The NIV says “Sovereign Lord” rather than just “Lord,” The passage says they are addressing God, and they use the word “Lord” in doing so, so I don’t understand the issue. Three things to notice: 1) The new versions do NOT replace “God” with “Lord” 2) the “God/Lord” claim has nothing to do with Jesus 3) “God” in KJV is added by the translators and is not in the Greek text. Riplinger’s claim is as bogus as it gets. KJV: Repent therefore of this thy wickedness, and pray God, if perhaps the thought of thine heart may be forgiven thee. NIV: Repent of this wickedness and pray to the Lord in the hope that he may forgive you for having such a thought in your heart. Again the passage is not about Jesus. Apparently while Riplinger’s theme for the chapter is Jesus, but she decided to switch to God the Father. Since “God” and “Lord” are used interchangeably throughout Scripture, I see no reason to claim any denigration of title or that this makes for a better “international” version. NIV: This went on for two years, so that all the Jews and Greeks who lived in the province of Asia heard the word of the Lord. This passage is in a story about Paul at Ephesus. In the NIV the name “Jesus” is in vs. 4, while the KJV says “Christ Jesus.” In vs 5 we find “the Lord Jesus” in both versions (I wonder why no complaint against the missing “Christ”?). So in the same story, same context, we have the NIV using “Jesus,” “the Lord Jesus,” and “the Lord.” Since we already had “Lord Jesus,” is it really denigrating Jesus’ status to fail to use “Lord” second time? If I write a story about Sergeant Alvin York’s actions for which he received the Medal of Honor, and I write “Sergeant York” did such-and-such and two sentences later just said “York received …,” have I denigrated York’s rank and position? Absolutely not. This is why Riplinger’s contention is so absurd. e. 1 Cor. 16:22. KJV “Lord Jesus Christ” vs “The Lord.” This is another example of where in one passage “Jesus Christ” is left off the title, but in vs 23 in the NIV we have “Lord Jesus” and in vs 24 we have “Christ Jesus.” Throughout the book of 1 Corinthians we have “Lord Jesus Christ” or “Jesus Christ our Lord” in 1:2,3,7,8, 9,10; 6:11; 8:6; 15:57. We also have “Christ Jesus our Lord” at 15:31; and other variants as “Lord Jesus,” “Jesus our Lord,” “Lord Jesus,” Christ Jesus,” “Christ Jesus,” “Jesus Christ” — all in 1 Corinthians! So in context of the whole book there is one missing “Jesus Christ” compared to the KJV and this is cause for alarm?!?!? This is rank foolishness! f. 1 Cor. 10:9. KJV “Christ” vs “The Lord.” As with f. above, in the total context of 1 Corinthians, who is Paul referring to, and who would the readers understand him to be referring to, by the term “Lord” in context?!?! Both titles refer to the very same person and it does NOT denigrate Christ in any way by using “Lord” in one place where the KJV uses “Christ,” especially since, as demonstrated in f., the three terms are used together often! KJV: 18. Wives, submit yourselves unto your own husbands, as it is fit in the Lord. 20. Children, obey your parents in all things: for this is well pleasing unto the Lord. 22. Servants, obey in all things your masters according to the flesh; not with eyeservice, as menpleasers; but in singleness of heart, fearing God; 23. And whatsoever ye do, do it heartily, as to the Lord, and not unto men; 24. Knowing that of the Lord ye shall receive the reward of the inheritance: for ye serve the Lord Christ. NIV: 18 Wives, submit yourselves to your husbands, as is fitting in the Lord. 20. Children, obey your parents in everything, for this pleases the Lord. 22. Slaves, obey your earthly masters in everything; and do it, not only when their eye is on you and to curry their favor, but with sincerity of heart and reverence for the Lord. 23. Whatever you do, work at it with all your heart, as working for the Lord, not for human masters, 24. since you know that you will receive an inheritance from the Lord as a reward. It is the Lord Christ you are serving. Verse 18 refers to the Lord, verse 20 refers to the Lord, verse 23 refers to the Lord, verse 24 refers to the Lord. Perhaps KJV is wrong to change from “Lord” to “God”? Especially since the section ends by saying you are serving the Lord Christ? If it is referring to God the Father, does it denigrate Him to call Him Lord? Absolutely not! h. 2 Thes. 2:2. KJV “Christ” vs “the Lord.” The paragraph opens at vs 1 with “Lord Jesus Christ,” so using just “Lord” in vs 2 is nothing but an abbreviation from the full title in the previous clause! This in no way denigrates Christ, regardless of Riplinger’s claims. i. 2 Tim. 2:19. KJV “Christ” vs “the Lord.” Again, in the opening passages of Chapter 2 we’ve already established the context of the Lord as being Jesus Christ. Not repeating “Christ” in the same discussion does not denigrate Christ. j. Rev. 11:4. KJV “God” vs “Lord of the earth.” Isn’t the “Lord of the earth” in the context of the entire Bible no other than “God”? I see the terms as synonymous, and for Riplinger to claim the second term denigrates God is just foolishness, especially since in the context of the chapter it is established who the “Lord of the earth” is, i.e., GOD! Riplinger ends by stating that for the “Hindoos,” “Lord” means a personal manifestation of God, so I guess that somehow means that if “new version” Bibles use the word “Lord” for “God,” they are following a Hindu practice? This is inane on the face of it. 3. CONCLUSION: As usual, Riplinger has not proven her claims, and, in fact, has in places been deceitful about what the texts actually say. Looks to me like Thabiti Anyabwile is not a pastor to listen to! What kind of Christian would support the racist “Black Lives Matter” movement and also claim the unborn aren’t living?!? Royree Jensen — another false teacher with bizarre ideas. More Scripture twisted and contorted by Steven Furtick. Catholic doctrines just keep getting more and more bizarre — and unbiblical! More Roman Catholic nonsensical paganism. The Catholic Mass — a horrible abuse of Scripture. A very unbiblical and bizarre teaching in Sarah Young’s “Jesus Calling.” Just another example as to why NO ONE should be reading that book! The cult of women’s self-esteem. The whole “self-esteem” idea is nothing less that pop-psychology — borrowed from atheistic ideology. Rick Joyner’s doctorate degree is fake. Just like his teaching. More eisegesis from Rick Joyner. Marsha has a good post on spiritual warfare, which looks like the beginning of a series. 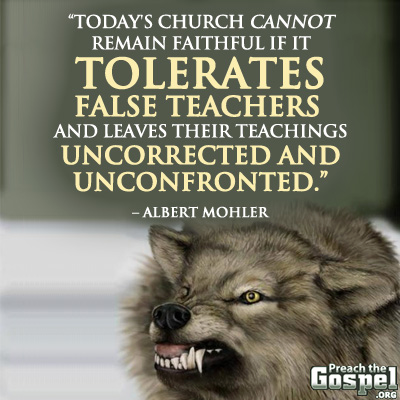 Theodore Shoebat is just as much a false teacher as his father Walid. Does the church idolize music? Something to think about. False prophet/teacher Patricia King is now having visions of a 9-foot angel demon. When you listen to this video, you see she has many angels demons working with her ministry. Another false teacher in the Methodist Church who should be excommunicated. DID YOU KNOW? "Popular Bible teacher Beth Moore’s headliner status owes much to the way in which she and her publications are promoted. She is pitched as being the authority on the problems and challenges many women face, as someone who can teach her readers how to arm themselves against Satan’s attacks, get them out of the pit into deliverance, break free from spiritual strongholds, and cure the 'epidemic' of insecurity. Her writings are often promoted as something to fill the void in the lives of evangelical women. The Spring issue of their Journal will examine Moore’s new book, “Audacious,” and it will be the sixth Journal issue examining her teachings. I highly recommend subscribing to their journal. The Christian Is Different — Or Should Be! The modern Christian seems to think that he is doing something wonderful when he behaves very much like the man of the world; he tries to argue that this is the way to win him. But he is not winning him! Our Lord could mix with publicans and sinners, but he was never mistaken for one of them; He was called the friend of publicans and sinners, but the contrast was there even in the criticism. And the point is that the true Christian, because of what has happened to him, because of this regeneration, because of the work of the Spirit, because he has been made new, is of necessity a different man. Do we not all know as a fact of experience, our own experience and observation of others, that persistent disobedience of God’s will and God’s ways always produces a hardening? Every time you commit a sin you become less sensitive. Every time you repeat a sin your conscience troubles you less than it did before. The first time, there is an agony, there is a kind of crisis, there is a regret, a remorse, and a sense of shame; but is it not true to say that as you go on repeating the same act there is less and less shame, less and less regret, less and less remorse? What is that due to? Oh! that is the hardening, the hardening of the heart! It becomes less and less capable of response, less and less capable of reaction, less and less sensitive to appeals. There is nothing in life that I know of that is more tragic than to watch the gradual decline and hardening of a soul. Have you not seen it? Any person over fifty years of age must, alas! have seen it many a time; how a man you knew as a young man has just gradually become harder and harder and colder and colder, and seems now to be utterly insensitive. Hardening of the heart! It is an appalling thing, it is one of the saddest things in life. And what makes it even worse, is that men quite deliberately cultivate it. As the quotation in Hebrews 3 points out to us, for the purposes of sin men and women deliberately harden their hearts. And of course you have got to do that if you want to enjoy sin. While the heart is tender and supple you cannot enjoy sin because your heart is protesting the whole time, and the remorse follows, and it takes away all your pleasure. So that if you want to enjoy a life of sin you have got somehow or other to do something to your heart, you must harden it, lest, in spite of all the modern theorising, it should keep on asserting itself. A man says, I have come to the conclusion there is no God; this talk about morality and religion is all nonsense, and I am going to live as I like. But, although he decides that, his heart goes on telling him that there is a God. When he breaks the sabbath he remembers [Christians do not have a sabbath! ]; he wishes he did not remember, but his heart goes on speaking; he does wrong things, and his heart speaks. A battle goes on within him. There is only one thing to do, he must somehow try to silence his heart! Long after the intellect has capitulated the heart goes on making its protests! And so men discover that the only way to enjoy sin is somehow or other to silence the heart, to harden it. If I were asked to state what, in my opinion, is the most outstanding characteristic of life outside of Christ today, I would without any hesitation say that it is the hardness of the heart of man. Our conduct should always be to us something which is inevitable in view of what we believe. That is the way I like to think of it. If my Christian Living is not quite inevitable to me, if I am always fighting against it and struggling and trying to get out of it, and wondering why it is so hard and narrow, if I find myself rather envying the people who are still back in the world, there is something radically wrong with my Christian life. Christian conduct and behavior should be inevitable — there is no argument about it. And when we are in that position, we have really got the truth of the matter clearly.